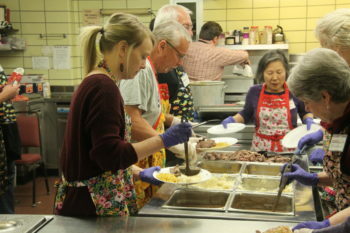 Spring and fall, we all pitch in to make and serve as as many as 700 900 roast beef dinners, complete with homemade apple crisp. There’s even a drive-through! This is a fundraiser for the work of the church, and it’s also one big ol’ work party for 130 or so volunteers over three days. 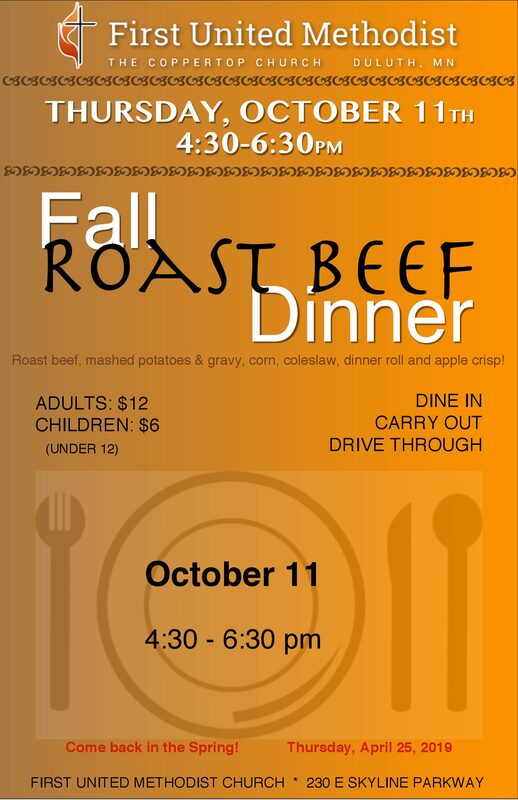 Our next Roast Beef Dinner is coming up Thursday, October 11 2018, 4:30-6:30pm. Get in on the fun!